After a lengthy delay due to a format redesign, below is a summary of my 2009 Walla Walla Fall Release Weekend report. Additional sections of the report will be posted to the blog in the coming days. Download a complete .pdf copy of the report here (Note: Hyperlinks within the .pdf are not currently working). The first weekend in November has long been referred to as ‘Cayuse Weekend.’ For many years, members of Cayuse Vineyards’ mailing list have been traveling to Walla Walla Valley that weekend to pick up the winery’s new releases and sample next year’s offerings. With so many people passing through town – people who are clearly wine buyers - other wineries began opening for the weekend as well. Soon an unofficial event weekend formed. In 2009, the first weekend in November officially became branded as Fall Release Weekend. This was my first time traveling to Walla Walla for this event. Most years I have attended Walla Walla Valley Holiday Barrel Tasting the first weekend in December instead. This year, I decided to mix it up a bit and see what Fall Release Weekend was all about. The first weekend in November is a good time to travel to wine country. The roads and passes are less likely to be blocked by snow or avalanche hazard in comparison to December. Additionally, wineries have recently finished harvest and crush, so Fall Release Weekend provides an opportunity to hear winemakers’ first impressions of the vintage. 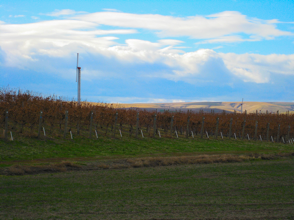 As previously noted, for Walla Walla as with other areas, this year’s harvest was notable for the compression of the harvest schedule and for the October frost. Some Walla Walla winemakers reported being quite pleased with the results; some were taking a wait-and-see approach; and some reported being a bit skeptical. However, such pronouncements can often have as much to do with personality (and marketing) as anything specific to the harvest itself. As always, only time will tell. At this year’s Fall Release there was a good deal of buzz (more than usual, that is) surrounding K Vintners’ Charles Smith. Smith had recently been named ‘Winemaker of the Year’ by Wine & Spirits magazine. At Fall Release Weekend Smith was releasing his 2006 Charles Smith Royal City Syrah. Wine Enthusiast had previously awarded this wine a 100-point rating. While some privately griped about all the attention Smith was receiving (or more specifically about the billboard with a close-up of Smith’s face off Highway 12 and the Rolls Royce he was driving around town), an equal number were pleased with the attention Walla Walla’s winemakers and their wines have been garnering. The valley has over 100 wineries, so it is not possible to visit all of them even over several weekends. As always, I tried on this trip to visit wineries I had gone to before, as well as wineries that were new/new to me. New wineries I visited included Castillo de Feliciana, El Corazon, Plumb Cellars, Rasa Vineyards, Reynvaan Family Vineyards, and Robison Ranch Cellars. Castillo de Feliciana is a new winery south of downtown Walla Walla. The winery was founded by Sam and Deborah Castillo. Ryan Raber, formerly of Tertulia Cellars, serves as winemaker. El Corazon was founded by Spencer Sievers and Raoul Morfin. El Corazon focuses on varietal bottlings of less common grapes – such as Carmenère and Cabernet Franc. The winery also ages its wine in mostly neutral oak. The results are pure expression of the variety. Plumb Cellars is a new winery founded by a group of friends. The winery’s first releases include three red wines, a Merlot, a Cabernet, and a ‘Damn Straight’ Red Wine. Rasa Vineyards is a new winery founded by brothers Billo and Pinto Naravane. The winery has released two Syrah-based wines, one called QED and one called Principia. 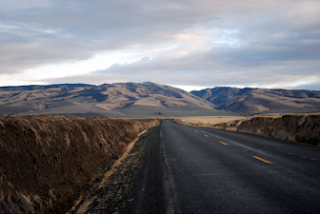 Both of Rasa’s inaugural releases are among the most exciting new wines in Washington State. While the valley seemed fairly crowded as it does on any major event weekend, the crowd seemed a bit more focused on the wine than unusual. Indeed, many were in town to pick up their Cayuse wines. A number of people wore buttons marking the thirteenth anniversary of Cayuse Vineyards. Although Fall Release Weekend was born out of Cayuse Vineyards’ release event, starting in 2010 Cayuse will no longer be participating in the event. Cayuse announced last month that they will be moving their release event from November to April, with the next event in 2011. Time will tell how this affects the number and nature of the visitors on Fall Release Weekend. Excellent work, Sean! I will admit that at times, I thought this would be your Chinese Democracy, but it was worth the wait. Great info all around. Thanks Paul, I must say after spending four hours yesterday trying to get the hyperlinks to translate properly from Mac Word to PDF (ultimately unsuccessful I might add) I started to think it was a sign. Alas, I think it was just a software glitch :) Enjoy! F'ing fantastic report. I'm embarassed to say that I've yet to lay a lip on a Gramercy wine, but after reading their reviews in your report I'm going to order some direct. Too bad K was such a madhouse but not surprisngly so. I would have pictured Charles as more of a Ferrari guy but a Rolls is more aritocratic, I guess. I'm going to read through it one more time and then comment more. Cheers! Jared, thanks for the comment. Two words about the Gramercy wines. Get some. Very different from your beloved Cayuse wines but you'll find much to enjoy there. Let me know your thoughts when you check them out. Indeed, K is always a madhouse. It was just the usual madhouse in a smaller spot this time around!